We’re back in Ottawa after an exhilarating four days at the International CES, which ran from Jan. 6-9 in Las Vegas. If you don’t already know, CES is where all of the most inventive companies in the business of consumer technologies come together every year and do what they do best: brainstorm, share and break new ground. 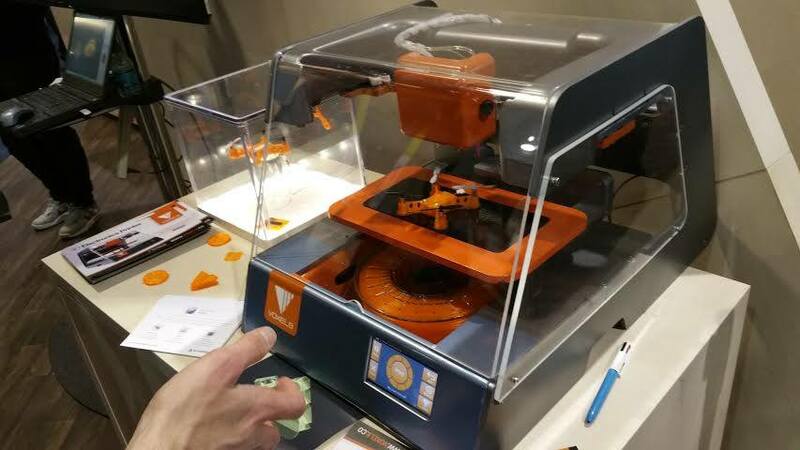 More than 54 exhibitors at this year’s CES were involved in 3D printing. So there were countless creative, captivating displays, even ones with 3D printers in motion. We were particularly impressed with the Voxel8: 3D Electronics Printer. It’s sleek and has several appealing features, including (but not limited to) the following: Print matrix material (PLA), print conductive silver ink and a design that allows you to easily see and access parts mid-print. Neat! 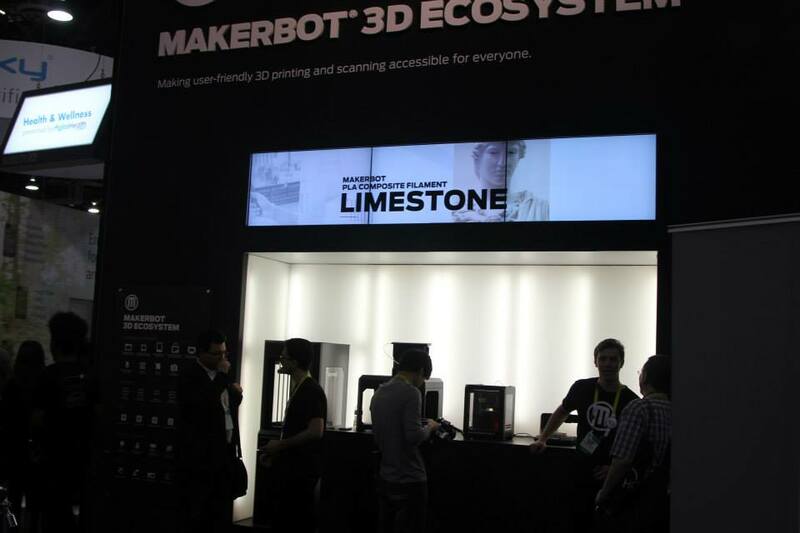 It wouldn’t be a true 3D printing at CES recap without talk of MakerBot, now would it? 🙂 As we previously mentioned, we’re big fans of MakerBot and are always interested in the company’s latest developments. So, we were thrilled when MakerBot announced in Vegas that users will soon be able to print products far more impressive than plastic models. The company has new PLA filaments constructed with composites of the materials—metal, wood and limestone—that prints are supposed to replicate. 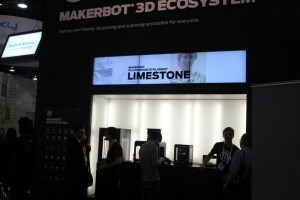 For more on this, see MakerBot Expands 3D Ecosystem and Transforms the Way You Think of/in 3D. 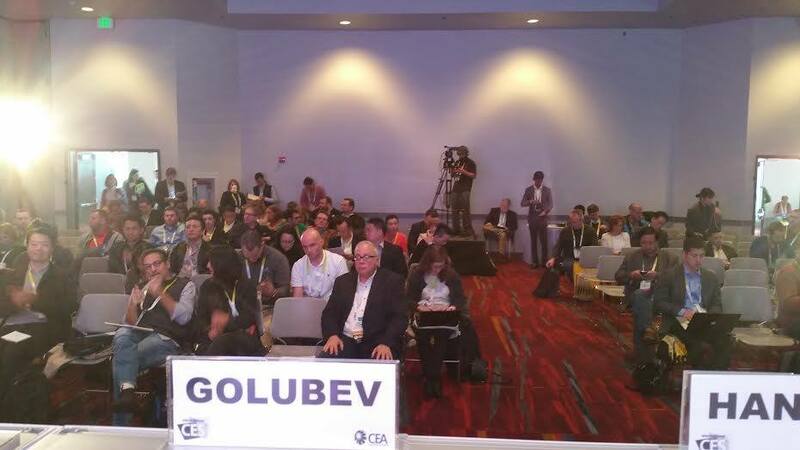 MakerBot and other 3D printing companies at CES 2015—ours included—want to see 3D printing inside schools and are speaking out about the ways it can be used to teach children lessons in science, technology, engineering and mathematics (STEM). Michael, our CEO, participated in a major CES conference: Taking 3D Printing to the Next Level. We were listed as the #1 green gadget at CES 2015, according to TechRepublic. 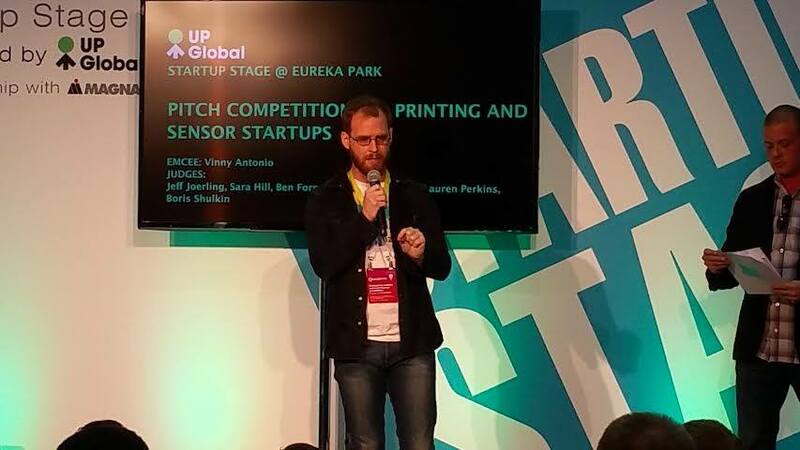 Charlie, our Communications Director, pitched 3Dponics to a panel of judges during the 3D Printing/ Sensors startups pitch competition. Last but not least, we donated the 3D-printable hydroponic system we had set up in Eureka Park—ogled and commented on by many passers-by—to Traci Holloway, an elementary school principal in Las Vegas. Students at Watson elementary school now have the opportunity to grow their own fresh veggies and herbs inside the classroom while learning about sustainable food production and the power of 3D printing. CES 2015 was mind-blowing (in the best way). While it was hard for us to cover every inch of the floor, we did meet and chat with several other startups; see the latest in 3D printing accessories and machines; and walk away more knowledgeable and appreciative of consumer electronics. We left impressed and inspired. We saw that there are several 3D printer manufacturers and a handful of providers, but still few meaningful ways to apply the technology. For this reason, we will move forward with 3Dponics, our open-source system, to give educators and students a meaningful 3D printing project to work on. Please join us for the journey—stay posted for updates!